As an Ophthalmic Medical Assistant, you will be assisting others in one of life’s most precious gifts, the ability to see. 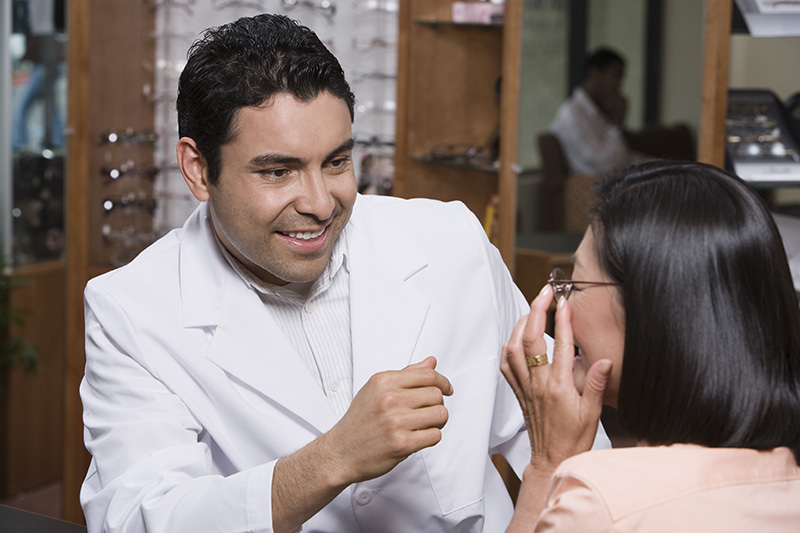 As a vision care technician, you may perform in one or more of several different areas. You may serve the eye care physician as an Optometric or Ophthalmic Assistant. You may also become an optician and serve the public and physicians as the professional that fills prescriptions for glasses and contact lenses. There are many specialty areas and levels of certification possible for a vision care technician. Tyler Junior College Ophthalmic Medical Assisting program prepares each student to take and pass state and national entry-level certification examinations. The American Board of Opticianry (ABO) certifies dispensing opticians and optical laboratory technicians. Many states require this certification in order for an individual to practice as an optician. Some states conduct their own certification examination process. This certification will show that the optician has demonstrated the knowledge necessary to fit and dispense eyeglasses. The National Contact Lens Examiners (NCLE) certifies contact lens technicians. This certification will show that the technician has demonstrated the knowledge necessary to fit and dispense contact lenses. The National Paraoptometric Registry, established by the American Optometric Association Paraoptometric Section, certifies optometric technicians. The registry recognizes through examination individual levels of skill, knowledge and achievement by optometric assistants and technicians. The Joint Commission on Allied Health Personnel in Ophthalmology (JCHAPO) certifies ophthalmic medical personnel. JCHAPO serves to enhance the quality and availability of ophthalmic patient care by providing certification and continuing education, and by supporting the utilization of allied health personnel. An ophthalmic assistant is a medical technician that specializes in working with ophthalmologists and optometrists. They serve these eye doctors in much the same way that a nurse assists a general practitioner. TJC is an open admissions college; however, enrollment in this program is limited. All prerequisite courses should be completed before selection for enrollment into the Ophthalmic Medical Assisting program can be made. Please fill out the selective admissions application to apply for this program. Respiratory therapy majors learn to evaluate and treat people who have heart, circulation, and lung disorders and injuries. Our two-year program prepares you to take the TMC exam and start working immediately.